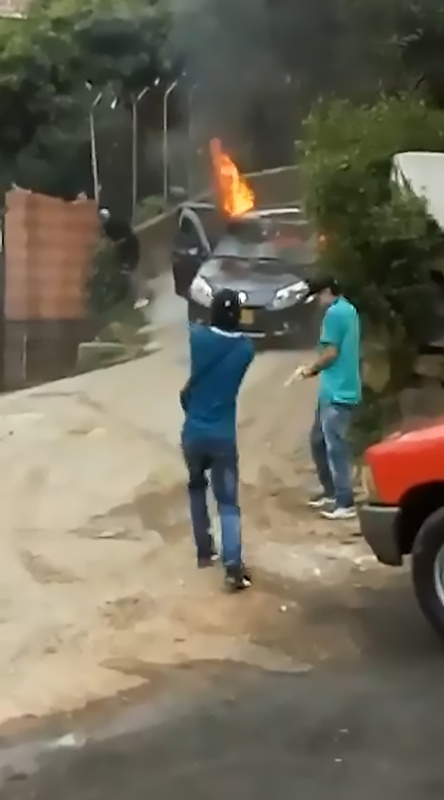 This is the moment six thugs fire their guns at a burning car they set alight because the driver would not pay their extortionate fee to use the road. 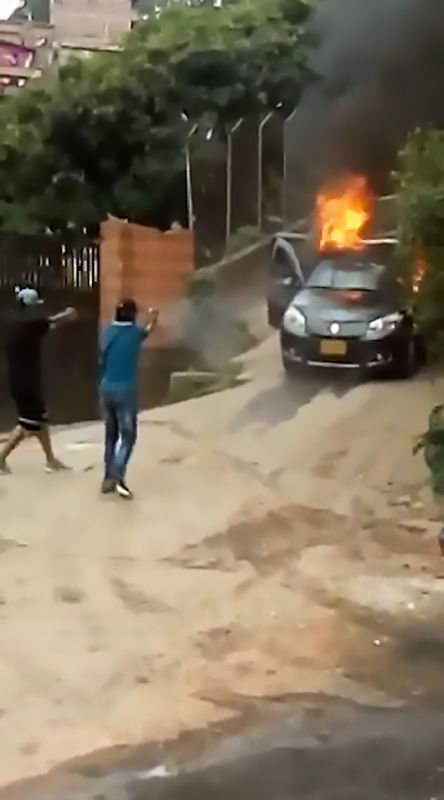 The incident took place in the city of Itagui in the northern Colombian department of Antioquia following an argument between a driver who reportedly offers “informal” transportation services for locals and a gang forcing motorists to pay a fee. 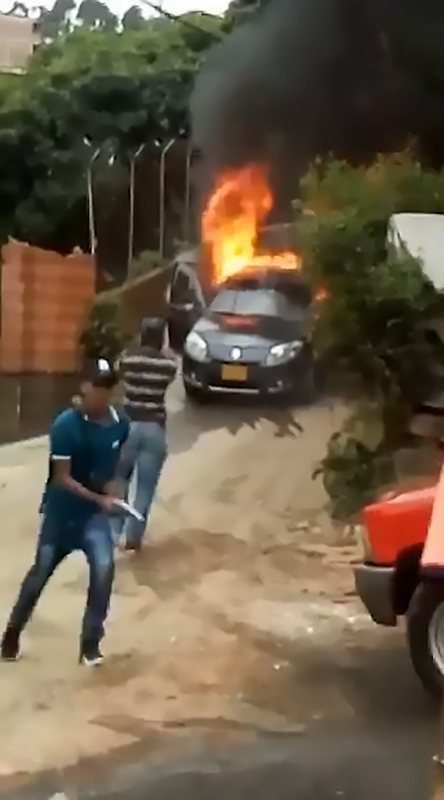 According to reports, the row escalated and the motorist’s vehicle was burned and riddled with bullets by the gang after he had abandoned it. 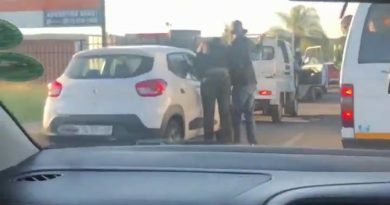 The incident is believed to have been carried out by a criminal gang in the area who target a group of transport workers and demand money for them to use the roads. 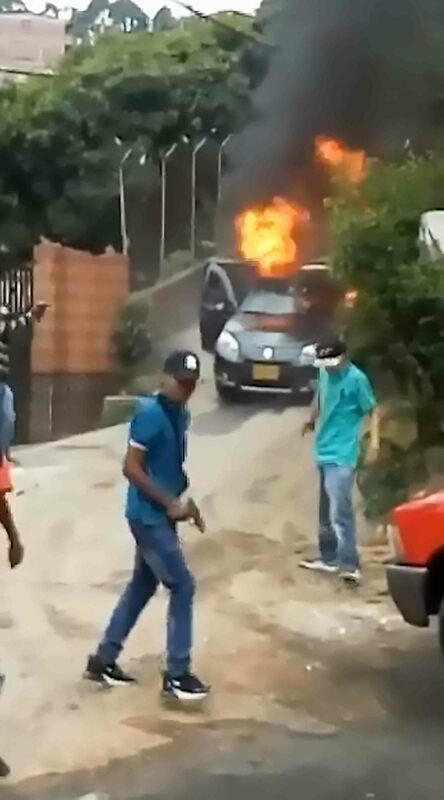 Police suspect that the men burned and shot the vehicle to scare the community. According to reports, the police have arrested two of the suspected extortionists behind the car attack. 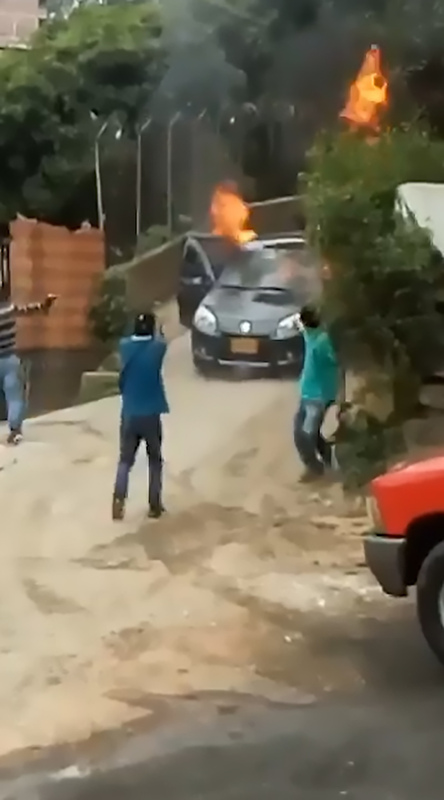 In the video footage, six men are seen firing their guns at a burning car that appears to have been abandoned on the road. 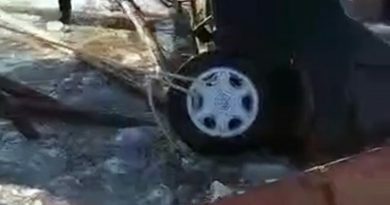 It was not reported if anyone was injured during the incident. The police investigation is ongoing.